UK medical communications agency Fishawack has undergone a management buyout that it says will enable it to accelerate its 'buy and build' strategy. The deal values the Knutsford, Cheshire business at £38m and will see it continue to be led by founders Oliver Dennis (pictured) and Dominic Miller. Fishawack, which provides med comms, market access and pharmacovigiliance services, was founded in 2001 and now employs over 230 people across three offices in the UK, two in the US and one in Switzerland. The deal was backed by UK-based private equity investor LDC, which has committed further equity to accelerate Fishawack's growth strategy, and see the exit of Growth Capital Partners (GCP) who supported the management team in a secondary buyout in 2013. 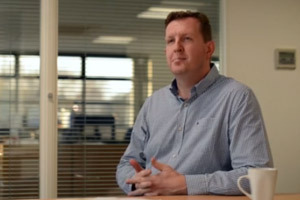 Oliver Dennis, CEO of Fishawack, said: “With GCP's support we have made significant progress with our growth strategy over the past few years and bringing LDC alongside us will enable us to build on this further as we aim to create the largest independent player serving the growing global medical affairs market. In recent years the agency's acquisitions have included UK med comms agency Facilitate, US group JK Associates and Swiss agency Archimed. Simon Braham, investment director at LDC in Manchester, said: “Global pharmacos continue to invest heavily in the research and development of new drugs, and with treatments and applications becoming increasingly complex there is a need to further educate healthcare professionals to ensure the efficacy, safety and ultimately benefits of new drugs are thoroughly understood, which help to make improved prescribing decisions to help patients.